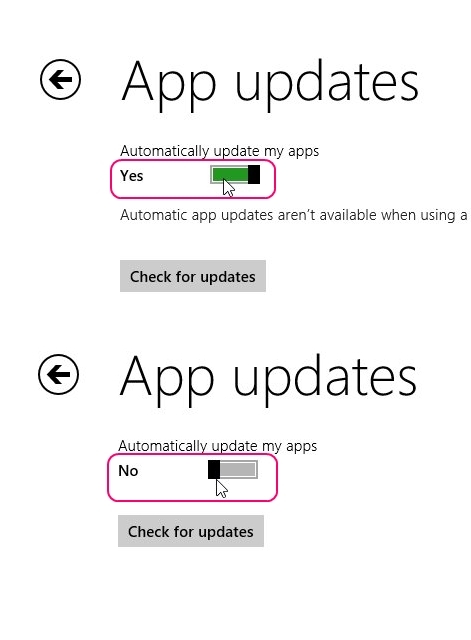 Here is a short tutorial on how to disable automatic Windows Store app updates in Windows 8.1. 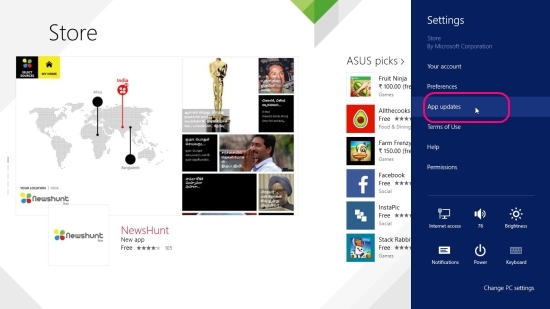 Windows 8.1 comes with a feature of automatically updating Windows Store apps without the intervention of the user. Whenever you switch on your PC and connect to the internet, the Store starts downloading and installing the available updates in background, to make your apps up to date with the latest versions. Though this behavior is useful for majority of the users, for some, updating the apps without any notification might be problematic. Especially if you have a limited internet package, these updates might take up all your data, without even informing you that something is going on with your Windows Store apps. First, go to the Start screen. 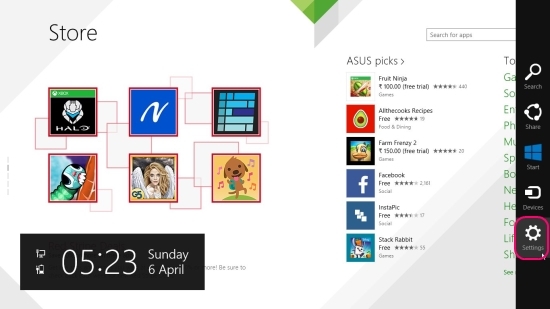 Now click on the Windows Store tile. The Store will open up. Take your mouse pointer to the extreme bottom right (or top left) corner to bring the Charms bar. Click on the Settings icon to bring the Settings charm. Click on App Updates option. A screen will open up where you will see an option to Turn On/ Off automatic app updates. This will be shown as “Automatically update my apps”. A green button will be present below this option with a title “Yes”. Click on this button to turn it to “No”. Your automatic updates are off now. This is how you can turn off automatic updates of Windows Store apps and prevent them from taking updates without your knowledge. Try this simple tutorial and share with us your experiences or suggestions. How to take screenshot of Windows 8 Lock screen. How to get the missing Start Menu back in Windows 8.